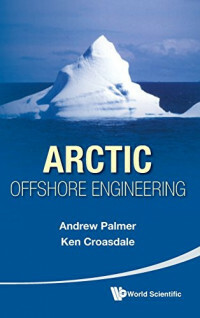 There is an increasing need to construct engineering structures in the Arctic seas. The requirement is principally generated by the oil and gas industry, because of the substantial reserves that are known to exist offshore in the Beaufort Sea, the Caspian Sea, the Barents Sea, the Pacific Ocean off the coast of Sakhalin, the Canadian Arctic, and almost certainly elsewhere. Structures have to withstand the severe environmental forces generated by sea ice, a subject that is developing rapidly but is still far from completely understood. Underwater pipelines have to be safe against ice gouging and strudel scour, but also have to be constructed safely and economically. The social and human environment has to be understood and respected. This important book intentionally takes a broad view, and vividly accounts for the many and often subtle interactions between the different factors. It is illustrated by case studies of actual projects. Readership: Professionals, academics, and graduate students in civil engineering. In my conversations with customers, partners, and peers, one topic seems to bubble to the surface more than any other: How do I financially justify the move to the cloud?